Regional San is subject to numerous environmental regulations designed to protect the waters that sustain our lives, the land we live on and the air we breathe. Compliance with environmental regulations is a fundamental part our mission, and we take pride in our outstanding record. The sections here outline some of the most significant environmental permits that affect Regional San. Regional San, along with all wastewater treatment agencies, is regulated by the state and federal government under a strict set of laws generally established under the Federal Clean Water Act (CWA) passed in 1972. Important amendments to the CWA were added in 1977 that further regulate wastewater treatment. Regional San is required to comply with the State Water Resources Control Board Order No. 2006-0003, Statewide General Waste Discharge Requirements (WDR) for Sanitary Sewer Systems. The purpose of the Order is to require agencies to prepare a plan and schedule for measures to be implemented to reduce Sanitary Sewer Overflows (SSOs), as well as measures to effectively clean-up and report SSOs. For more information about the WDR, visit the Water Resources Control Board webpage. Waste Discharge Requirements (WDRs) are established pursuant to California’s Porter Cologne Water Quality Control Act and are issued by the Central Valley Regional Water Quality Control Board. The WDRs govern the disposal of solids that are removed from the wastewater. 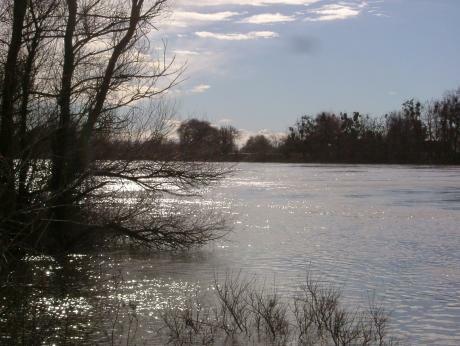 A Water Reclamation Permit issued by the Central Valley Regional Water Quality Control Board governs the quality of the water that is recycled by Regional San. Regional San has a number of permits issued by the Sacramento Metropolitan Air Quality Management District that govern the quality of emissions from combustion equipment such as boilers, digester gas flares and electric generators. The State Water Resources Control Board has issued general permits (Waste Discharge Requirements, or WDRs) that apply throughout the State and govern the quality of stormwater runoff. An industrial permit places requirements on operating facilities such as the Sacramento Regional Wastewater Treatment Plant, and a construction permit places requirements on large construction projects. The State Water Resources Control Board has issued a general permit (Waste Discharge Requirement, or WDR) that applies to all wastewater collections systems throughout the state. This permit is intended to minimize sanitary sewer overflows (spills) from collection systems through requirements for proper operation and maintenance.